The relationship Pfizer has been working with PulseLearning since 2003 and has engaged PulseLearning on over 20 projects ranging from eLearning content development and strategic learning consultancy to hands-on simulations. PulseLearning’s engaging and innovative results inspire Pfizer to partner with PulseLearning time and again. PulseLearning continues to maintain a Global Master Services Agreement with Pfizer, enabling us to execute new projects quickly with any Pfizer group globally. Here, we present several short summaries to illustrate our work with Pfizer and some of the capabilities we can offer to clients in the pharmaceutical industry. Information Security Awareness (ISA) Program. Pfizer Global Security wanted to ensure all employees within the organization were aware of Information security threats. The course was designed to explain social engineering and how employees at Pfizer can minimize the risk of disclosing confidential and personal information. PulseLearning developed a 30 minute, highly interactive course that contains a number of real-life role-plays. Axitinib Training Modules. Pfizer had a requirement to ensure reporting procedures on clinical trials were communicated internally with the organization. Up until this project, the information resided in PowerPoint presentations. To do this PulseLearning designed and developed 10 eLearning modules that involved converting a number of presentations into 30 minute online courses. Minimum Security Requirements (MSR) Training. Pfizer Global Security wanted to ensure all employees within the organization were skilled in following minimum security requirements. Up until this project, the information resided in procedure documents. PulseLearning reviewed the procedure documents and designed and developed four hours of eLearning courseware to ensure learner competency in minimum security requirements. Pfizer was very pleased with how PulseLearning took such mission-critical information and made it into interactive and enjoyable eLearning. Datavision Training. Datavision, a software application used by internal personnel and external consultants to create and submit articles to medical journals, is one reason Pfizer is a thought leader in the industry. Training all Datavision users was critical, but the rapidly evolving nature of the tool made capturing the entire depth and breadth of the application difficult. 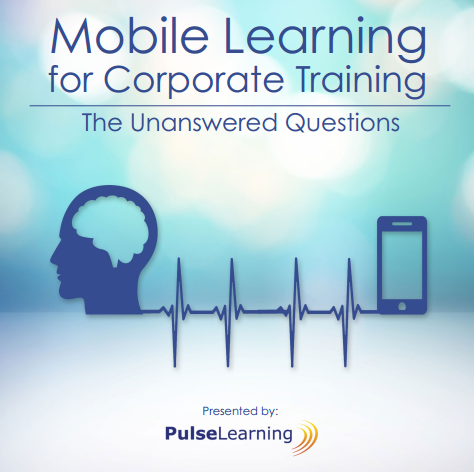 Pfizer partnered with PulseLearning to create an engaging, detailed learning solution that provided an overview of the application and its benefits as well as a step-by-step walk-through of essential components. The result was a suite of software simulations that allowed all internal and external stakeholders to complete the entire Datavision process from start to finish in a realistic, simulated environment. After completing the training, learners are able to confidently and efficiently author content, manage tasks on the Workbench tab, and submit articles to medical journals. Lyrica Abuse Potential: Data Capture Aid Class. Pfizer had a requirement to improve this course, while also transforming the ability to update this course into a rapid development model. PulseLearning partnered with the Pfizer Pharmacovigilance Education and Process Documentation team to determine the requirements. PulseLearning then designed and developed instructionally sound, reusable templates for updating the course. Pfizer is now able to quickly update this course in-house. Global Site Security Officer Standardized Training. As part of Pfizer Global Security’s mandate to promote standardization across its operations, PulseLearning developed online learning for Pfizer Site Security Officer worldwide. The course focuses on general good practices in physical security and enables Site Security Officer to acquire physical site security knowledge and training. The training is based on the globally recognized good practices in security set forth by ASIS International and was delivered to more than 150 Site Security Officers throughout the Pfizer organization. Oracle Remote Data Capture. Pfizer Global Development chose Oracle Remote Data Capture (RDC) as a tool to help increase the efficiency of its worldwide clinical trials. PulseLearning developed an eLearning solution to train clinical investigators and Pfizer personnel on the use of Oracle RDC in their respective roles during clinical studies. Import Regulations and Documentation Training. The initial challenge faced by the team was to create an interactive and engaging solution for Pfizer in order that they achieve their stated business strategy of improving import clearance times and Customs compliance. This was achieved and we developed a great working relationship with the Client and the SME while we developed the content. The course scored top marks from the learners and the Client was extremely pleased with the quality of the learning experience. Plant Operations Training Course. PulseLearning developed a highly interactive simulation training solution for the Distributed Control System (DCS) used by Pfizer employees to control plant operations. The simulations provide learners with an overview of the system and a description of the key components reinforced by photographs and animations. Learners navigate through the processes replicating their production console, observing simulations of the processes they are controlling. The training provides individual learning paths, relevant assessments, and conceptual knowledge of the plant’s processes.